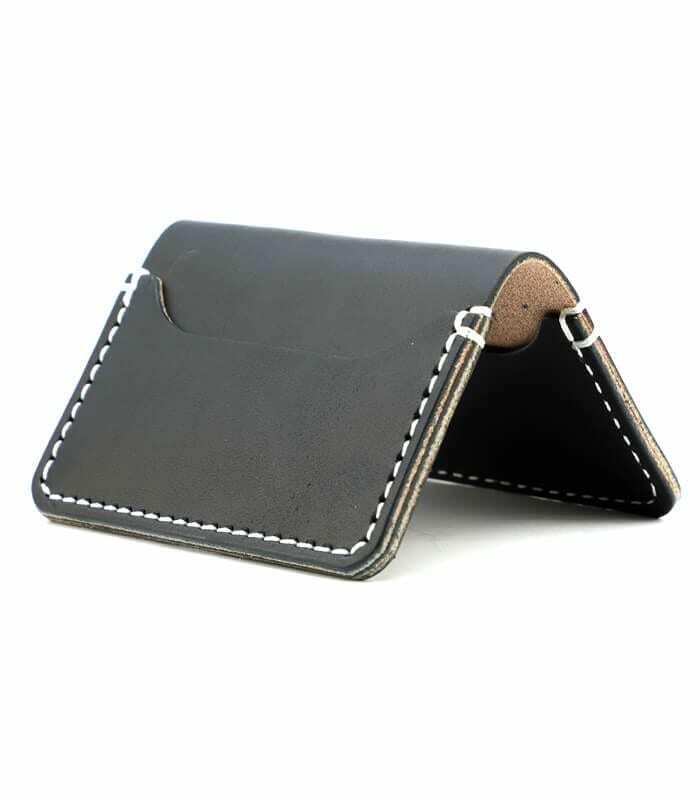 100% full grain veg tan English Bridle leather outside shell and pockets (5oz.). 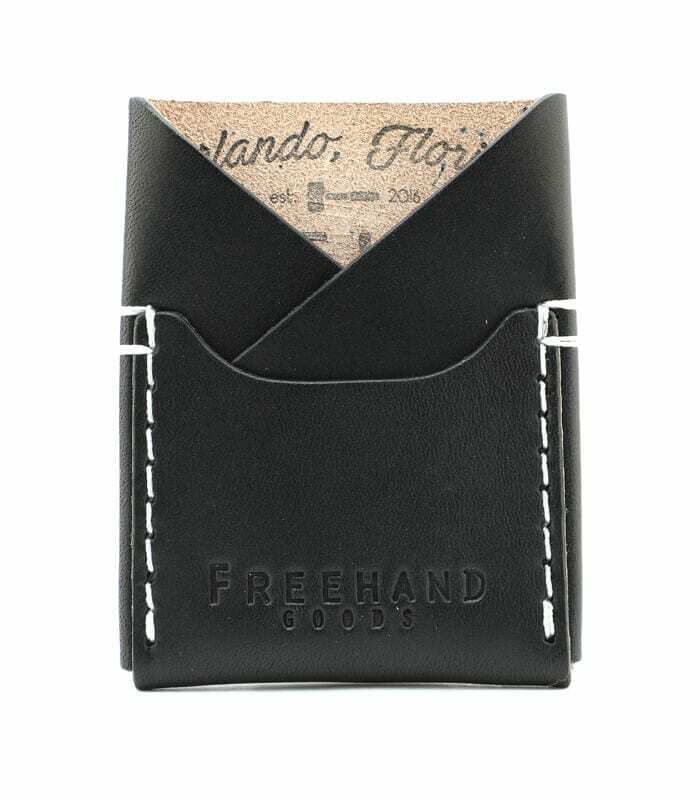 Two inside card slots that fit all standard size cards horizontally or folded cash. 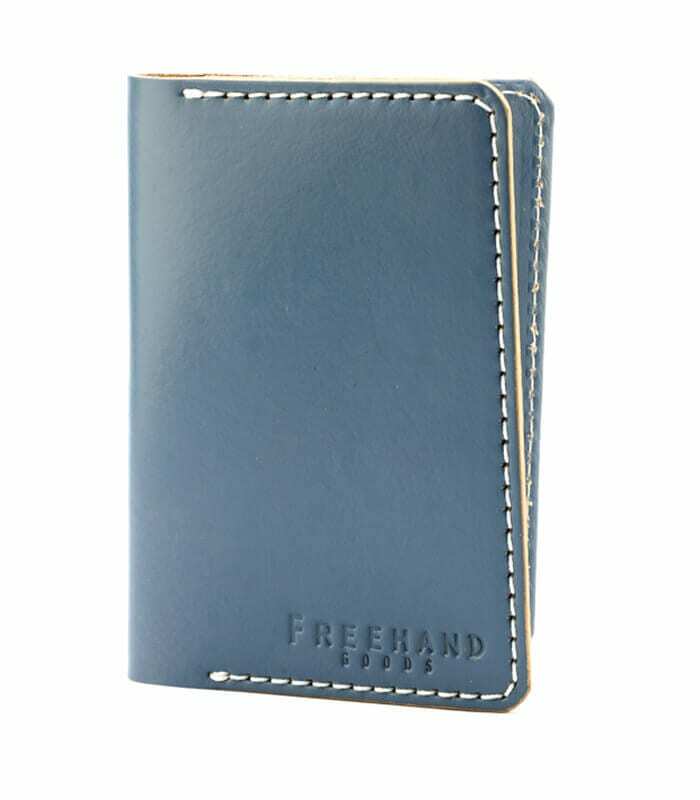 One outside card slot that fits all standard size cards horizontally or folded cash. 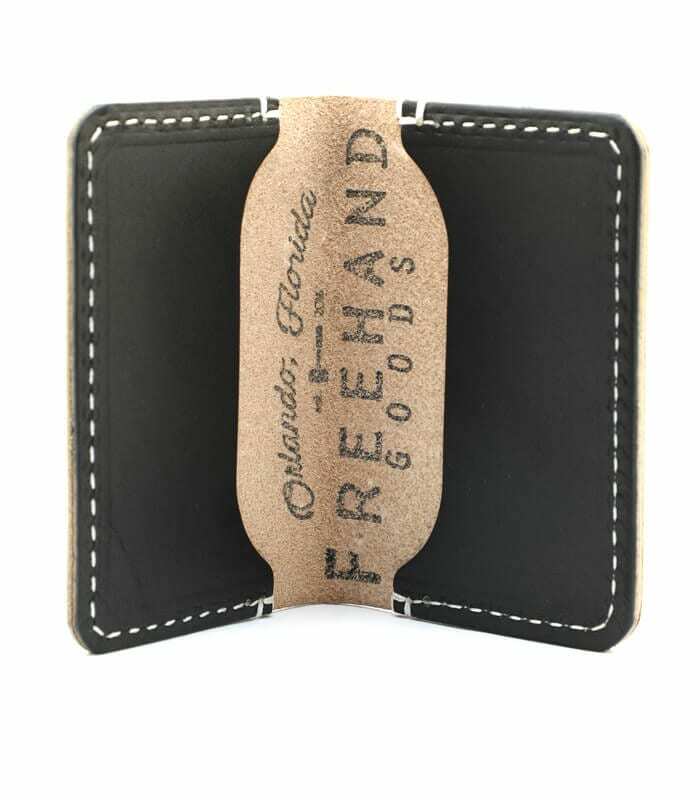 This Black Mills Leather Cardholder was handcrafted from start to finish by Seth Daniels, co-owner and in-house leathersmith of Freehand Goods. Seth’s fascination with veg-tan leather and it’s superior strength and durability started simply because he wanted a hand-tooled motorcycle seat for his Harley but didn’t want to pay $3k. So he made his own. 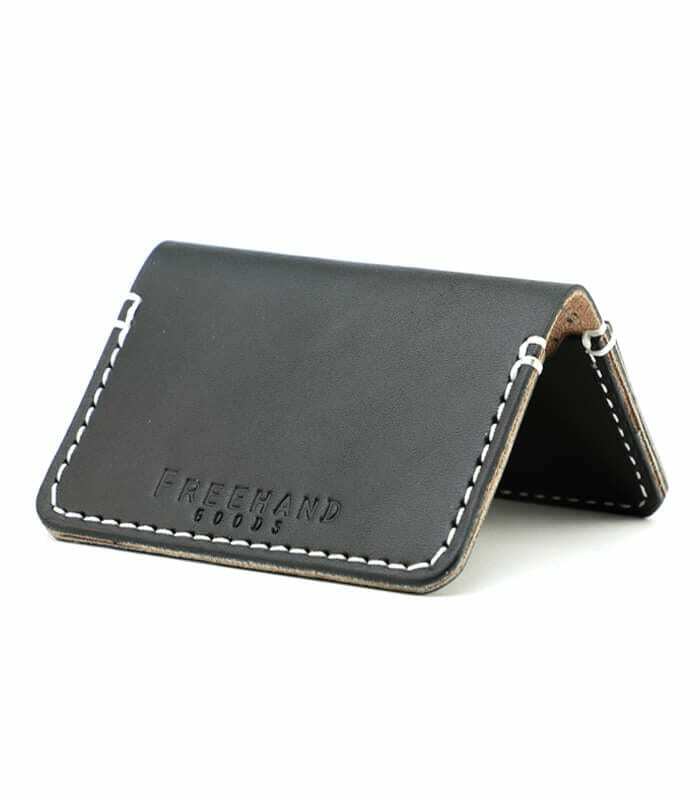 After making three seats that took more than 70 hours each to complete, he expanded to taking custom leather orders from friends and family. You can check out more of his custom work on his Instagram.